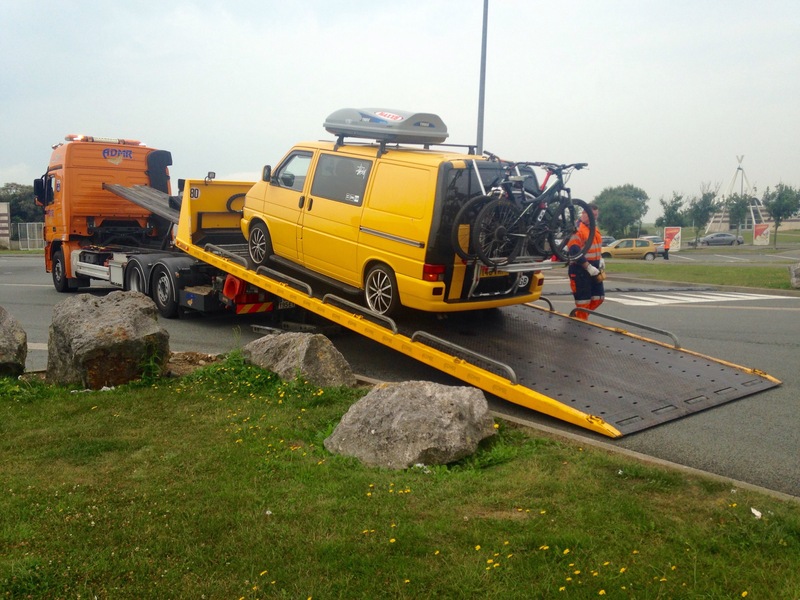 After a successful night of packing up the van, not sleeping through our alarms and making the train on time I filled the van up with petrol in Calais, not good when it’s a diesel. Drove 5 minutes up the road before I realised, made it to a service station and called the recovery people. Hopefully the tank can be drained, replaced with diesel and we’ll be on our way, normally you would replace the fuel filter but I reckon with the amount of diesel going in it will be fine, might run a bit rough while the petrol clears but no proper damage.